Ordered the medium helmet according to the sizing chart. Was too small. Called RM and they shipped out the large, recieved it next day. Wow! Helmet fit good except the cheek pads were very tight. Called again and they suggested changing from the 35mm to 30mm pads. They arrived and now the fit is perfect. Love the helmet and the service from RM. This helmet is great for the price. Seems to run slightly big though. Most helmets are a little tighter on me in size large. It’s probably the mips slippage that makes it feel a little looser. This is a great helmet for the price , it fit my head better then my fox v1 at a xxl size and fits true to size ?? Good looking, light weight, and classic Bell construction. Fits great really like this helmet. My son really loves it. His last helmet was about 2 year's old, and he's becoming a more aggressive rider, so wanted to upgrade to a MIPS helmet. When I rode, I always had a Bell, and this one doesn't disappoint. Recommended. Best helmet under $300, it looks awesome (I got mate black) and very high quality. There is just nothing like Bell helmets. I will definitely buy another one. fits great, looks dope, and seems very safe!! I tried the normal size I wear and it was way tight so I had to get the next size up. comfortable and a pretty good field of view. -m-2017 HUSQVARNA FC 350-- bell quality and Rocky mt mc service. It just doesn't get any better. Great, comfortable, solid, and sharp looking helmet. Awesome awesome awesome!! Good helmet! Love the adjustable visor too. This helmet is perfect for the weekend racer. This is the most bang for your buck. I am going to order the all white one as well. First bell ever. Have ben riding for years . Fits well good vents . Have not. Rode off-road for 35 years.Used Bell helmet back then.My new MX 9 I love it!
. First time I use Rocky Mountain ATV and MC.They do a good job.! Great helmet. I've tried a few and couldn't get one (without spending a fortune) that fit the way I wanted. This one is great. Googles fit tight to my face! I bought this helmet about a month ago and it is a great value. it doesn't feel cheaply made and it isn't uncomfortable. it looks great and seems like a quality helmet. Bought this because I wanted Bell quality without strangling the bank account. As soon as i pulled it out of the box I fell in love. It's nice and warm on the cooler ride days toward the very beginning and very end of the season (especially up here in New England) and it also stays cool in the summer. Very comfortable and it doesn't feel heavy or huge on your head. Fits very well with just about any type of goggle. The visor system makes for easy cleaning and more flexibility. Finally, IT LOOKS AWESOME! I had to submit a review on this helmet because it is so awesome. I have bought a lot of helmets over the years and I was skeptical of the price but the MIPS feature is what I wanted and so do you! Trust me. To my surprise this is one of the best helmets I have ever bought. No joke! 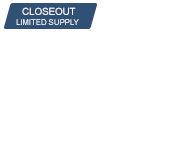 The Bell MX-9 is the equalizer and on par with top shelf helmets at a fraction of the cost. It is light weight, it fits true to size, and its a bargain price. Rocky MTN had on my door in two days. 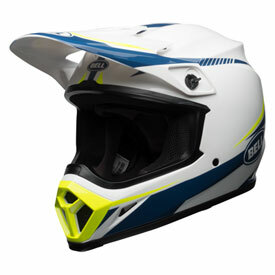 Don't have second thoughts on getting this helmet, it will exceed your expectations and you'll be stoked to have MIPS. Enjoy the ride! This helmet fits perfect and looks just as I expected it too based of the online photos. I would definitely recommend to others. Great value for the money!! Comfortable, plush and quality materials add up to top notch helmet from Bell!! I used to Rep helmets for Helmet House, so I’ve had hours of training on properly fitting helmets and in knowing what to look for as far as helmet inadequacies are and this helmet is great!! I bought one of the first Showtime helmets and Bell has come a long way!! Fits my head great. I bought a medium. I wear depending on the brand a medium or a large. Looks great. Not terribly expensive. I recently replaced my helmet and decided to try Bell. I loved the moto 9, but didn't have the money. So I chose the MX-9, which looks very similar for a fraction of the price. The helmet is light, and fit like a glove. The paint jobs that are available are pretty cool too. I will be buying a Bell helmet again. My head is 24 1/4 inches around. Should I get the xl or xxl? There's a half inch gapin the sizing chart, and I'm dead center in the middle of the gap. BEST ANSWER: My head measures at the small size of medium, 22 1/4. I got the medium, but I went to an actual store to try on helmets before I bought one. This was the must comfortable helmet I tried on. From the $600 Shoei to the $80 Bilt helmet. Personally I’d go with the xl. I would rather a helmet be tight than moving around on my head when riding. Plus it’ll break in a lil after wearing it. I would go with the XL, snug is always better, and since Rocky mountain guarantees the fit you can't go wrong. I would go with the XL. Nothing worse than a loose helmet. trying on helmets at a store would definately help you when ordering online. I usually go with a bit bigger helmet. but not too big. Go with a large it will be tight at first but after sweating and wearing it for a while the cheek pad and everything will break in. Leisure riding? Go bigger size. How much hair you have will also be a factor. My helmet is tight and I got the right size for my head so I would go for a xxl then. I had a Moto 8 helmet in large and it fit great, anyone know if these have a similar fit? Do most Bell helmets have a similar fit? Is this helmet snell approved? I went to a store and tried on helmets but they didn’t have any 3XL in stock. But a 2XL fit but it was really really tight. Do you think a 3XL would do the trick? BEST ANSWER: Most likely. Don't want headaches from an extremely tight helmet. I would rather a tighter fit than loose. It is not comfortable to when a helmet slides while on a track or trail. True it it was extremely tight. My face was turning purple. Can I wear this with optical glasses? BEST ANSWER: if your talking prescription glass , then the answer is yes as I do but, I also have the kind with indesructable arms for over the ear but like Oakley sunglasses or belrays should work also. I guess it depends on how wide/big your glasses are... Bell has been making head gear for many years I'm sure that's been figured in.. Great helmet comfort style and price. More than likely yes. I have had a number of helmets and most allow enough room for glasses, assuming the frames are not larger than the opening of the helmet. Yes, almost all helmets you should be able to wear with glasses. I bought an extra large which fits good except for the cheek pads it is pushing my cheeks in a lot, do they make a smaller cheek cushion for this helmet? Please let me know so that I don’t have to return the helmet. BEST ANSWER: After checking Bell’s Website it looks like they have cheek pads of different thickness. I think you need the thinnest. If you wear it few hours the MX-9 will fit better after the padding breaks-in. what is the weight of a size L ? BEST ANSWER: Bellhelmits .com says moto 9 mips weighs 1450 grams.looked at xs & L, both say 1450 grams in description. The Bell MX-9 is lightweight in comparison to my other helmets and the outer dimensions are slimmer too. 1485 grams for the MX-9 MIPS in Large. Does this have dual density eps or is the “compressible” eps a more effective form of high n low speed impact protection??? BEST ANSWER: The mips equipped helmet has multi-directional impact perfection which is designed to reduce rotational forces resulting from certain impacts. The MX-9 MIPS has a multi-density EPS as well and it also includes the MIPS system. BEST ANSWER: Using a size large as a reference it weighs about 3.4 lbs. I purchased an extra large which fits nice except that the cheek pads are really tight on my cheeks. Do they make smaller cheek pads for better comfort? BEST ANSWER: no, the pads get softer as you use the helmet.